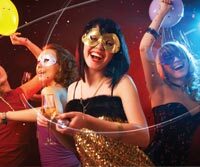 Whether it’s a Christmas party, a family function, a big birthday bash or wedding anniversary, The Mansion House is such a uniquely flexible and versatile venue that you will end up with exactly the kind of party you want. We’ve created a variety of catering options for any function or party, ranging from cold buffets, to sit down meals. We also offer a variety of drinks packages all of which have been tailored to fit a range of budgets. 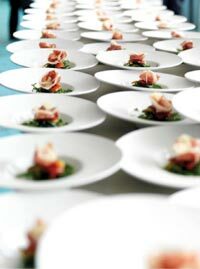 Our professional hospitality team pay fantastic attention to detail and always ensure your function runs smoothly. They are available to assist you with all elements of your special event, from your initial enquiry, right the way through to the day itself. For music at your event we can provide a DJ or band or you may wish to organise one of your choice. Our team also have a bank of other event professionals that they can call on for special room decoration, cake making, balloons and floristry. Uniquely, as part of the facilities on offer at The Mansion House,The Victoria Bistro is open during weekdays 10am to 4pm and is fully licensed. This warm and friendly barn conversion can be used for weddings, other special occasions and funeral teas.